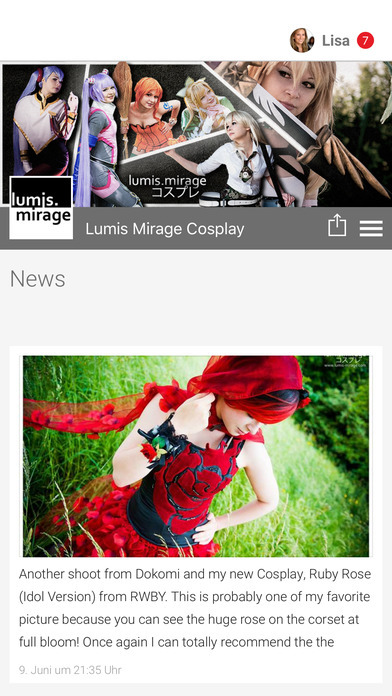 This is the official lumis.mirage app. Never miss a progress picture or new tutorial again! 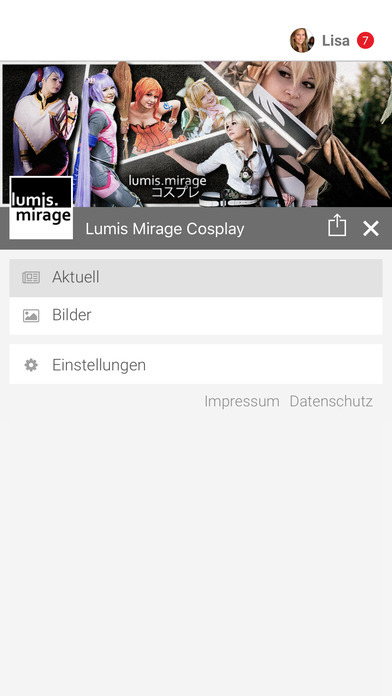 This application shows you the latest things about my cosplay way of life! Hi, i am lumis.mirage, a german cosplay girl since 2005. I have been at the World Cosplay Summit in Japan as a representative for Germany in 2009 and also 2011. Traveling all around the world to meet new friends and see cosplayers everywhere, I post stories, pictures and video of all my experiences online!